Thanks to Houghton Mifflin Harcourt for the eARC I received via NetGalley! Hope has been homeschooled her entire life - she has a photographic memory, and her mother has schooled her a very specific way so that the knowledge wouldn't overwhelm her. When Hope's mom dies in an earthquake, her aunt reaches out to her and Hope ends up going to visit her mother's family in Scotland. When she gets there, she finds out her mother isn't actually dead - she's trapped in England in the time of Eleanor of Aquitaine - and Hope needs to travel back in time to save her. The way the time travel aspect was explained and portrayed was absolutely wonderful. I really enjoyed the detail Janet B. Taylor included with the science aspect behind the time traveling, as well as how much work went in to preparing to travel to a different time. From the proper way to walk, to the proper dialect, to the correct clothing - everything was so precise and well thought out. I really enjoyed the time period of Eleanor of Aquitaine. I had no knowledge of this period prior to reading this book so I can't really say if any of the historical basis was accurate (I'm hoping that it is) but the political elements of the time were really interesting to learn about. Hope wasn't a particularly outstanding heroine, but I enjoyed seeing her interact with her newfound family. These people took her in and made her a part of their group without even really knowing her. Given Hope's sheltered past, she was never able to make friends or interact with anyone her age. Seeing her friendship with Rachel, Collum, and Phoebe. The thing about Into the Dim that was most unexpected to me is that most of the book happens in present day. While this makes sense given that Janet B. Taylor needed to set up the background of the plot, have Hope travel to Scotland, and show the training involved before time traveling, I really wish there had been more of the historical aspect of the book. Everything in the first half of the book felt really elaborate and thoroughly explained, but some of the action in the second half while they were time traveling felt rushed. I wish the things that happened had just been stretched out a bit more - fleshed out with more detail. 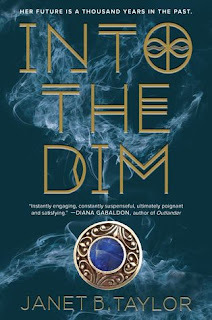 Overall, Into the Dim wasn't an outstanding book, but I really enjoyed it while I was reading it. 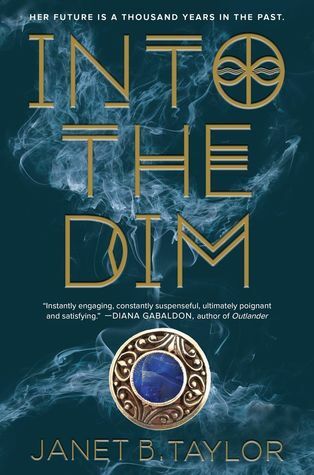 From the time traveling element to the promise of a bigger conspiracy in future books, Into the Dim was worth the read! If you could travel back in time, when would you travel to? Hello home slices! I know it has been many moons since I've last seen you but I'm back reviewing Morgan Matson's new book, which was the cutest blend of built-up romance and strong friendships and family relationships and totally hit the mark with the whole summer vibe (which is also how we felt when we triple reviewed Matson's book, Since You've Been Gone, last June). 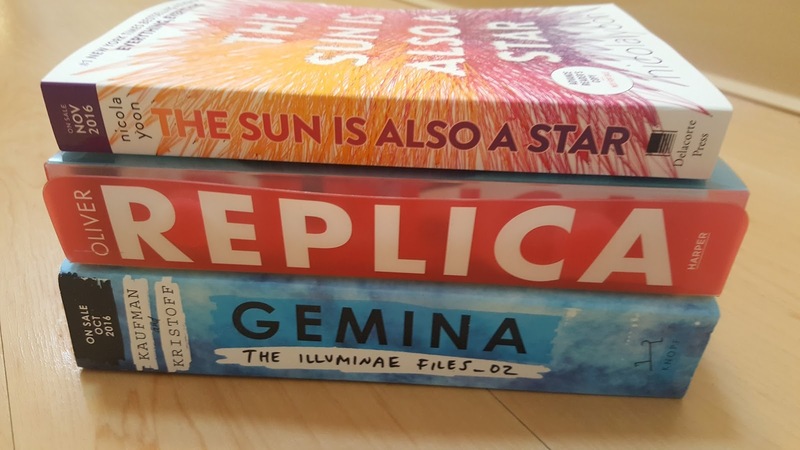 I actually bought and finished it a few days after it came out (if you go on my Twitter you can find the exact date), so I've had almost two weeks to process the book and everything I felt, but I still had a lot of thoughts and emotions about it after I finished, so if I gloss over anything you really liked/hated/thought was relevant to you/want to talk about, it's probably because 1. I'm very disjointed and it got lost in all the thoughts I was trying to convey or 2. I felt like I was rambling on or talking too much but either way, if you want to talk about something that I didn't (or did), just comment/tweet @ me/email me/carrier pigeon and I would love to discuss! So the book is about Andie, a Congressman's daughter who's used to planning her life down to the T, but finds her summer unexpectedly open and free, full of nothing but a dad who's staying at home for the first time -- on a leave of absence -- and her group of best friends. One of my favorite things about this book is how well Morgan Matson does characterization. I think it's one of her strongest talents because it's what I love most about Since You've Been Gone, and I'm dying to read her other books to fall in love with those characters as well. We meet Andie's best friends -- Toby, Bri, and Palmer -- and slowly, throughout the book, we're shown the way they function, as a unit, as friends to one another, to other members in their group. Honestly, the relationship between her friends (not even between Andie and her friends but between her friends themselves) was my favorite part. It was so beautiful and nuanced and so subtly threaded itself into the narrative. Like, technically her friendships didn't influence her work plot or her boy plot or her dad plot that much, but I would want to read this book 200% less if her friends weren't in it. Honestly, I just love contemporary YA books that have strong friendship narratives because a lot of the time the romance plot takes the lead and you find the protagonist, once past the whole meet-cute stage, spending all their time with the love interest, forgetting they have other friends, but this was SO not like that. Even once she got to know Clark (the love interest), she took him to meet her friends and he had some awkward encounters with her dad, and he even formed this super tight bromance with Palmer's boyfriend, Tom. Speaking of Tom, another kinda small thing I liked was that even though Palmer, Toby, and Bri are her three best friends and her main squad, as she states multiple times (I don't think she ever says squad, but ya know) they still incorporate other people into their group. Like, Tom is Palmer's boyfriend, but he's part of their group, and Wyatt is this dude they know who spends summers in Connecticut (where they live) and he's always invited to hang out with them, and they go to parties where they're familiar with other people. And sometimes they hang out not just the four of them; sometimes it's just Palmer and Andie, or Toby and Bri. It's cool to mix things up, it makes the characters seem real. So many books establish a friend group and never explore outside of it. I don't condemn those books or anything because it's easy to get lost within the characters you create and not bring in smaller, side characters, but Matson did a great job establishing her own. Since I mentioned Toby and Bri, I wanna talk about them a lil. So in the book the four of them are a squad but Tobri (that's their names together if you didn't catch that) are hella best friends. They've been bffs since pre-school and brought the other two in at later points so it makes sense (I lowkey thought Tobri were gonna end up together by the end of the book and I will not tell you if my prediction came true because that is a spoiler but just letting you know my thoughts). Their friendship was the most interesting to me because they have their own little plot that I can't say much about really without spoiling it, but seriously, Morgan Matson really commits to writing real, honest friendships and situations. I felt the depth of the whole thing down to my core and felt myself relating to it even though I'd never been through their specific situation. I honestly think that anyone with a best/close friend now or ever to is going to be able to relate because it's such a strong depiction of the two characters and their relationship that even though not everyone can relate in a super direct way, they can still feel and understand the weight of it. Moving on, I've gotten pretty far into the review without talking Boy, and I loved the boy so I'm gonna shift gears. I mentioned Clark a little bit in a previous paragraph but didn't elaborate so here y'all go. He's cute and nerdy and a writer and likes fantasy novels and owns shirts with TV and movie references on them that Andie doesn't get but that Tom and Bri do (Star Wars and Doctor Who mostly). Also, he likes really spicy food and honestly, I felt myself lowkey falling for him as the book went on. Something I really loved was that Andie and Clark's attraction and relationship was built up throughout the book, slowly and powerfully. 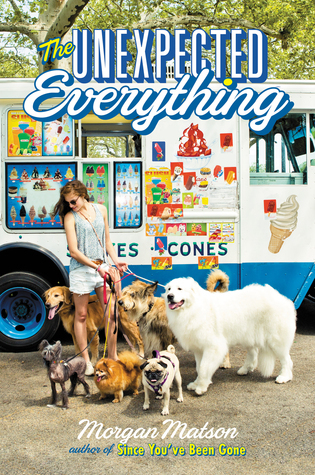 Andie was used to scoping out cute boys and dating them for three weeks, max, so when she met him as her dog walking client (yeah, there are dogs in this books, can it get any better?) and they had a few cute but awkward encounters they decided to go on a date. But rather then being entranced at first conversation, it was rocky, and Andie thought it was over, and I'm not gonna go into details, but he's the love interest so clearly things change, but it takes a while to get from "terrible first date, I'm never seeing him again" to breaking her three week boyfriend rule and he was such a well-written, complex character, like all the others. Also, I related to him a lot as well. Andie could be a little unintentionally callous at times because she genuinely didn't understand but I felt a lot of the things Clark was feeling. "We walked in silence, and I noticed that he was right by my side, closer than ever. Even without turning to look, it was like I could feel his presence next to me, aware of every step he was taking. Our hands were both down by our sides, and they were so close to touching. I could feel the tiny breeze made by his arm as it swung, the night air cool on my skin." They aren't even holding hands but it feels so intimate. Also, it feels so familiar, the whole presence-next-to-me stuff. I feel like I've felt it before. In the same vein, we see her dialogue with her friends and it feels familiar too because it is -- figuring out who's free to meet for coffee, picking on each other for taking too long to get ready or having bad taste in guys, giving each other weird dares for almost no reward. If you were an emoji, what would you be? If you couldn't tell from the title, today is We Live and Breathe Books' 3rd Blogiversary!! Three lucky winners will get their choice from above, in the order in which they are drawn (first chooses, then second, then third). All you have to do to enter is fill out the Rafflecopter below. The giveaway is open US only, unless you are willing to pay the shipping, and is open through June 8th. You must be 13 or older to enter or have a parent enter for you. The winners will be selected shortly after and will have 48 hours to respond before a new winner is selected. But before we get to the Rafflecopter, the WLABBers just want to say thank you so much to every one of our wonderful followers. You guys are the real MVPs! Here's to another awesome year! !